Block your diary and start planning your programming events. 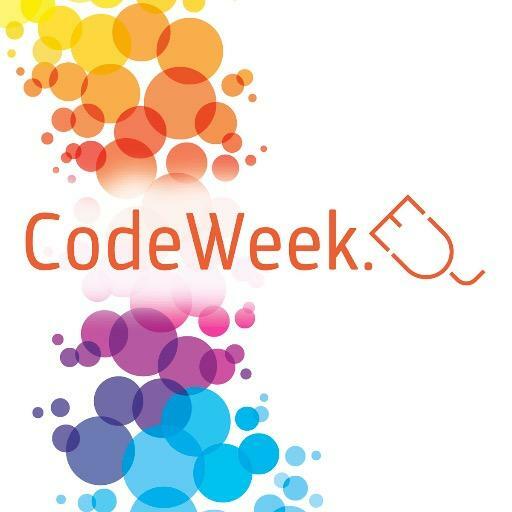 Europe Code Week 2016 will take place 15 to 23 October 2016. Europe Code Week is a grassroots initiative which aims to bring coding and digital literacy to everybody in a fun and engaging way. Anyone – schools, teachers, libraries, code clubs, businesses, public authorities – can organise a #CodeEU event and add it to the codeweek.eu map. Today we live in a world that has been affected by rapid advances in technology. The way we work, communicate, shop and think has changed dramatically. Learning to code helps us to make sense of how things work, explore ideas and make things, for both work and play. What’s more it helps us to unleash our creativity and work collaboratively with wonderful people both near us and all over the world. Organize an event - Anyone is welcome to organize an event. Just pick a topic and a target audience and add your event to the map. Join an event - Coding is for everyone. Try something new and discover the fun of coding by joining an event near you. Check out our toolkits and start planning your event. Don’t forget to add your event to the Code Week map!